Lightweight and highly resonant, the Paramount PM-TE Travel guitar is designed for easy portability without sacrificing an iota of its rich, natural tone. 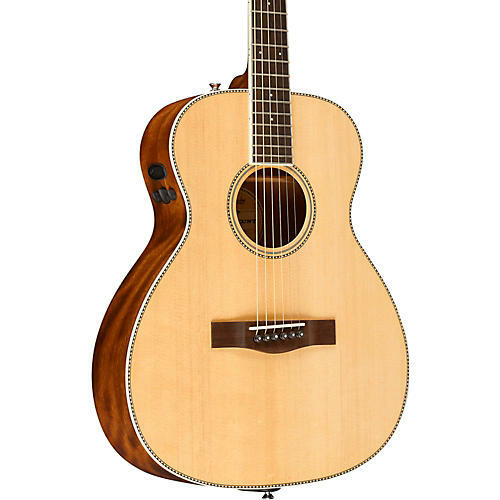 Comfortable for players of any size, this highly responsive 14-fret model features an open-pore finish for superior tone and unique visual appeal. The 23.5 in. scale is comfortable for any player, even those with smaller hands, while the relaxed string tension makes it easier to play notes and chords along the entire length of the neck. The Fender- and Fishman-designed PM preamp is voiced specifically for this guitar, bringing out the subtlest playing nuances when amplified. Other sterling features include an ovangkol fingerboard and bridge and ebony bridge pins, along with a bone nut and saddle. An instrument that can inspire every player, the Paramount PM-TE is perfect for the times it’s just you and your guitar letting the music flow.